Born Glasgow, he worked as a boilermaker and plater at Fairfields Shipyard, becoming Training Centre Manager, assisting apprentices in producing Sunburst, Cloud and Rain for Irving New Town Shopping Centre. On retiring, he joined the Govan Remeniscence Group and was a founder member of Govan Practical and Historic Art Group in 1991. McArthur and the group collaborated on relief panels for Fairfield's and a model of Govan 1913-45, which is currently on view in Govan Library, and on the designs for the SS. 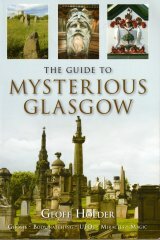 Daphne Memorials in Govan's Elder Park and Victoria Park, Whiteinch (1997).